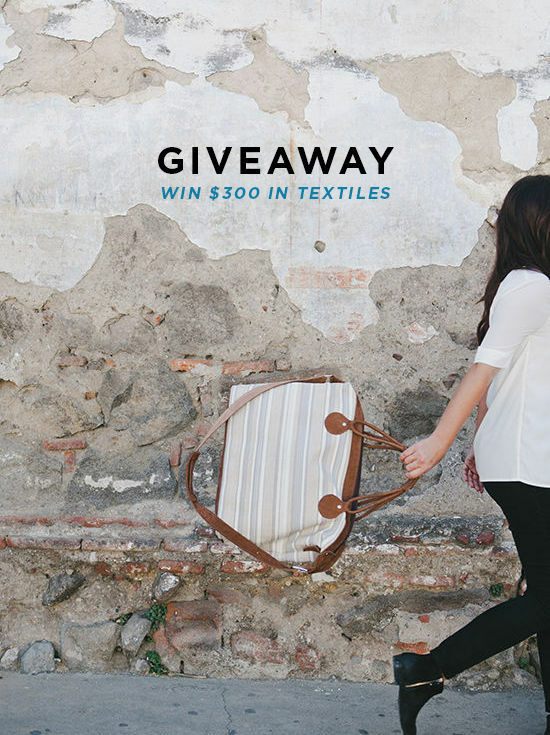 enter to win $300 to spend at ara collective! each piece in the collection is made by artisans the shop owner meets along her travels. it’s so cool how each item is full of history and culture. i like this cute little clutch. they have so many pretty purses too! 1) visit the ara collective site and take a look around! 2) leave a comment below with links to your favorite products! one winner will receive a $300 gift card. the winner will be chosen on september 16th at 10am PST. open to international readers! I love when you do these giveaways and I find a new fun company! Love all the indigo pillows on the website..also the neutral rugs. My fiancé and I are about to move into a new house next month – def keeping ara-collective in mind for decor! The indigo weekender is hands down my favorite. What beautiful crafts and patterns! You can never have too many cushions or bags, right? The Indigo collection is amazing!! I can’t choose only one. love the pillows and rugs!! All the bags are wow. love weekenders. I’m in dire need of some throw pillows for the sofa and these definitely fit the bill! That Indigo San Pedro bag would just be perfect to take to the the beach here in South Africa! So gorge! WOW! I’m loving their throws and blankets. I love the Indigo San Pedro Clutch so original fabric! I LOVE all the blue and white pillows, especially this one: http://ara-collective.com/product/indigo-xela-pillow/ I feel like they go so well with my white walls and hardwood floors – some much-needed color and texture. I also love the weekender bags (http://ara-collective.com/product/neutral-toliman-weekender/); I like how they look soft and not too structured. INDIGO ATITLÁN WEEKENDER and INDIGO ATITLÁN PILLOW…wow!! The Beige Chiapas Throw is gorgeous! It’s so hard to pick! I love the Indigo Atitlan Weekender, blue rey rug, aqua montana rug, indigo chiapas throw, turquoise chichi pillow, and everything else on the site! Absolutely love that one !! & thx for the giveaway! Would love the indigo chinimaya blanket! love the weekender bags and all the throws! the pillows! the clutches. oy. all of it. Love the indigo jaspe pillow http://ara-collective.com/product/indigo-jaspe-pillow/ and neutral zigzag pillow http://ara-collective.com/product/neutral-zigzag-pillow/. Love weekender bags…and this color! I like the taupe (and the gray) throws! The Indigo Atitlan Weekender bag is fantastic. This Throw would look fantastic in my newly redecorated room. And this pouch would be perfect for little trips up to the cafè. How can you not choose one of those amazing bags?? INDIGO ATITLÁN WEEKENDER is my favorite! I love this bag : http://ara-collective.com/product/indigo-atitlan-weekender/! Great giveaway, thank you! I really like the indigo weekend bag, and the descriptions of where the proceeds go to support artisans are great too. Love the Indigo Chiapas throw! I love the gray San Cristobal throw! The Blush Chiapas Throw is absolutely lovely! I appreciate that the gifts are hand-made and that a portion of the proceeds go to support artisan education, wonderful! I love the indigo atitlan weekender bag! I also love the indigo xela pillow! All of the patterns are so rich and perfect! Love the Indigo Atitlan Weekender bag! It is perfection in a bag! I love all the indigo, especially the weekender and clutch! I want every pillow teleported to my couch right now. Please and thank you. I adore this grey throw: http://ara-collective.com/product/gray-san-cristobal-throw/ and indigo pillows http://ara-collective.com/product/indigo-jaspe-pillow/. Would love a chance to nab them! Thanks for the opportunity! THE COLORS! This is amazing. I want it all, but most especially the Indigo Atitlán Weekender bag and several Indigo Jaspe Pillow for my new couch. I need the Indigo San Pedro Clutch! I pretty much need everything on this site. But this pillow is amazing. I love the INDIGO ATITLÁN WEEKENDER, such a fun color and pattern! I love the big bright blue pillows – especially the ones with tassels! And that gorgeous blue rug! This is a wonderful shop. I really love this weekender though. I love love love the INDIGO ATITLÁN WEEKENDER, and the Turquoise Chichi Pillow, and the Indigo Chiapas throw! Absolutely stunning. I love these weekender bags!! They are so fun! I love the Chiapas region. I love the Taupe San Cristobal throw & Indigo Atitlan Weekender. Oh, I love the Indigo Weekender bag! So cute! i love the indigo chinimaya blanket. so gorgeous! So many great products and the 10% giving back is right on track for a good company- since so many products are selling out fast, I’ll take the gift card and them decide. Love the Blue Rey Rug! Totally beautiful! Hi, what a beautiful site i just discovered thanks you! This cozy blanket http://ara-collective.com/product/gray-san-cristobal-throw/ let´s go to autumn or this tote bag http://ara-collective.com/product/neutral-toliman-weekender/ it´s simply amazing!! Where do I begin? Love it all. Fabulous weekend bag! What gorgeous textiles from this company. Will definitely be keeping an eye on them!! The perfect weekender bag http://ara-collective.com/product/indigo-atitlan-weekender/. But I could really just link everything on the site. LOVE the indigo zeal pillow! …and the Neutral Maguey Rug (http://ara-collective.com/product/neutral-maguey-rug/)! Just had to get rid of my weekender :-\ This http://ara-collective.com/product/aqua-laguna-weekender/ would be a GREAT replacement! The Neutral Tolimán Weekender (http://ara-collective.com/product/neutral-toliman-weekender/) suits my personality the most, especially with the simple pattern and colors! Love the Black Chiapas throw and the Indigo San Pedro clutch!! Sweet! Awesome products at great prices too! I LOVE the Indigo Atitlan Weekender, the Indigo Jaspe Pillow, and pretty much ALL of the throws! Beautiful! I always love to discover new websites and super cool products through your blog! My fave piece from the Ara website is definitely this weekender bag: http://ara-collective.com/product/neutral-toliman-weekender/ Its neutral tones are simply too perfect! I moved this year and really miss being near the beach. This rug (http://ara-collective.com/product/aqua-montana-rug/) makes me think of the sea, and has me dreaming about planning a vacation. Which means I would also need this bag for my travels! http://ara-collective.com/product/aqua-laguna-weekender/ Thanks for the inspiration! Love the Gray San Cristobal Throw – it would be a perfect compliment to my gray/white/neutral living space! The Indigo Jaspe pillows are exactly the right mix of color and pattern that I’ve been looking to add to my sofas! And I would love to drape the Black Chiapas throw over my bed to add some texture and color. Love the indigo chipas throw! Love love love the bags and blankets. And not insanely expensive for handmade goods that are stunning! Love the Indigo Chiapas Throw! Such a pretty store. I NEED THESE FOR MY NEW STUDIO!! SOOOO BEAUTIFUL! Can I leave a link to everything? I really love the products in beige/neutral and the product in indigo! While it’s too hard to pick a favorite, I can imagine this rug http://ara-collective.com/product/neutral-caracol-rug/ completing my living room. I already know where I’d put it! Thanks for introducing me to another new, amazing brand. The Blue Rey rug is amazing! finally, a beautiful throw that looks cozy too! and a beautiful indigo pillow! I have been looking for the perfect throw for my frozen office. This one will definitely do the trick! I love the neutral zigzag pillow and the black chiapas throw!!! this blue rug is gorgeous!!! Loved Ara Collective, didn’t know about it, and loved it! Thanks! Love this Indigo Atitlan Weekender bag. GOODNESS. So beautiful! Oooh, these are lovely! I love both the clutch and the weekender purse! But I’ll say the clutch for the giveaway, thank you! oh my goodness! the indigo…i can’t even. the INDIGO ATITLÁN WEEKENDER is my favorite! it reminds me of going to a cabin by the lake in the fall. Love the neutral weekender and the pattern on the indigo chiapas throw! I love this bag! I have spent a decent about of time in Latin America and this bag reminds me of all the memories I have made there. I also love the deep blue that accents this bag. Such beautiful products! http://ara-collective.com/product/indigo-san-pedro-clutch/ is a favorite. Absolutely adore these products so amazing! The grey San Cristobel Throw is stunning, and I would LOVE to walk about town with the neutral weekender bag! I LOVE this indigo clutch! The Indigo Chinimaya Blanket, the Gray Mariposa Rug, and the Aqua Montana Rug are my faves! The INDIGO CHIAPAS THROW is so beautiful! I love the indigo atitilan pouch. The INDIGO ATITLÁN WEEKENDER is gorgeous. I absolutely love the Aqua Montana Rug – the colours are gorgeous! My favorite products are the Indigo Atitlán Pillow and Indigo Atitlán Weekender. i love the indigo san pedro clutch – totally my style! And the indigo chiapas throw would look great on the couch! They do neutral color schemes really well – goes with everything and anything but boring! Looks so good! All of it. I love finding products with a story and something special. It’s nice to see companies that provide something different. What a lovely store. I am in the midst of a move, and combining my boyfriend’s style with my one to create a more cozy home. The neutral Zigzag pillow and the Beige Chiapas Throw would be perfect additions. Ohhh I love the Gray San Cristobal Throw!! This would look gorgeous on the foot of my bed. Beautiful craft and details- i love this rug! How to choose!!! So gorgeous. I love the Indigo San Pedro Clutch. Perfect with a white tee and dark jeans. but, the rugs are also great! Hard to choose just one!! I am absolutely smitten with this entire new company, their products and their philosophy! I will narrow it down to this. The Aqua San Juan pillow, the Aqua Laguna Weekender and pouch, the gray Cristobal Throw, and all things indigo are all simply fabulous. But my favorite splurge piece in the entire collection would be the Neutral Toliman Weekender and matching pouch!!! http://ara-collective.com/product/neutral-toliman-weekender/ Thank you for a giveaway!! I love the indigo san juan blanket and the indigo atitlan pouch! And the aqua montana rug! Everything looks beautiful! http://ara-collective.com/product/indigo-jaspe-pillow/ this one makes me happy. I would squish it every night while snuggling on the couch. http://ara-collective.com/product/indigo-atitlan-weekender/ This bag is gorgeous! i love the pillows!!! and the weekenders! I’m loving the gray cristobal throw – it’s so pretty! I’ve been in love with anything blue ever since I can remember! One day I will definitely end up with at least one room that is monochromatic blue haha. This weekender bag is wonderful! The blanket is made in Guatemala by Lago Atitlan – once did a three day hike there from Xela – feels like a million years ago! I love this green throw! beautiful products all around. I always love a good clutch or weekender, so the Indigo Atilan Weekender and INdigo san Pedro Clutch are my favorite. I love the INDIGO ATITLÁN WEEKENDER and the BLUSH CHIAPAS THROW! Such beautiful choices! I’m in love with the all the pillows, but especially the ‘Black Cardinal Points Pillow’. So pretty! Love the Emerald Nahuala Pillow! I love the beautiful native patterns and the colors. the whole collection in lovely. I love finding concision companies. Thank you for the opportunity! Beautiful company! So glad to know about them. I love this throw. The peachy color is something I’ve been looking for! These textiles are stunning! I adore the INDIGO ATITLÁN WEEKENDER. and the sage pillow. Such a nice color! Everything is gorgeous but this is especially my favorite! Weekenders all the way…especially that Indigo Atitlan Weekender! Love these bags as well as the rugs. I’m always looking for sustainable, handmade & ethical shops to promote on my blog, so thanks for turning me onto a great site! But really I could see myself using almost all these products! These are my favorites! So beautiful! absolutely love the indigo weekender!!!! I love the throws and the pouches! So pretty! I’m still looking for some pieces to brighten up my room! This and this would look amazing on my new sofa… and even better on the one we are going to get once we sell the new one on CraigsList. We just pulled that trigger much too soon. I love the Indigo Atitlan Weekender, I lvoe the Neutral Toliman one too, but I would get it dirty quickly. Definitely some of these cushions and maybe even a throw! I LOVE this throw. Great shop! Love the Indigo Weekender, and the Aqua Montana Rug would look great in my living room! LOVE the indigo san juan pillow and the indigo san pedro clutch. TOTALLY my style!! Praying for this win! The neutural zigzag pillow is beautiful! Wow! I’m obsessed with this pillow! Such perfect dark rich hues. Thanks for introducing me to Ara Collective. I find it a challenge to discover beautiful rugs and it’s nice to find a place offering both that and a strong message. I’m part native american and find a nice connection to these pieces. Love the Sage Cardinal Points Pillow! Wow, I am in love with this bag! Love the print! Love the shape! Would love it on my shoulder! So many lovely things! I’d pick http://ara-collective.com/product/neutral-maguey-rug/ Thanks! Thanks for turning me onto the company alone! I am obsessed with this line! I would love to get this weekender bag! Loving all the items… amazing patterns and colours… but this rug would look great on my room: http://ara-collective.com/product/aqua-montana-rug/ , or this blanket: http://ara-collective.com/product/indigo-chinimaya-blanket/ , and the this clutch for myself 😉 http://ara-collective.com/product/indigo-san-pedro-clutch/ . Thanks for the giveaway! been really into this color lately! So glad i stumbled upon this blog post. Will be moving into a new place in a months time, and I’ve been fantasising all day about ARA decor! The Blue Rey rug & Aqua Montana rugs are so beautiful! If i were to win, I’d have a hard time deciding which one! Maybe both! Love it all! 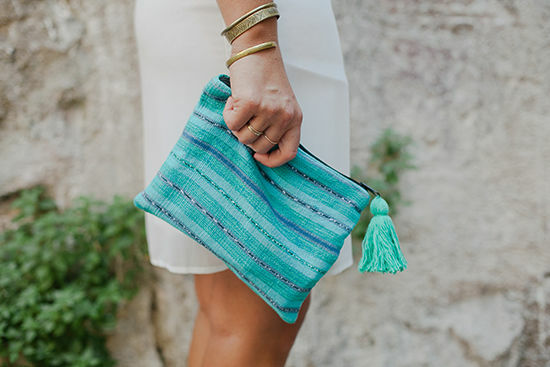 But especially: http://ara-collective.com/product/aqua-laguna-weekender/ I fall hard for tassels. They have such beautiful textiles! I’m absolutely in love with their Indigo San Pedro Clutch and the Black Cardinal Points Pillow! My favourites are the INDIGO ATITLÁN WEEKENDER (http://ara-collective.com/product/indigo-atitlan-weekender/), which is perfect for work and school + INDIGO CHINIMAYA BLANKET (http://ara-collective.com/product/indigo-chinimaya-blanket/) for cold winter evenings. Wow, these are all gorgeous!! Wow! So many cool things to choose from. I love Ara, every item is so unique! Some of my favourite are the cushions and the bags! Thank you so much for this giveaway! Here are the links to some of my favorites from the site! I really believe that rugs make or break a room…I think the Blue Rey Rug could transform my living room/dining room area!! So many great pieces! I would pick this blush throw. Thanks for the giveaway! I am partial to all those beautiful throws! Aqua Laguna Weekender for the win! Love it! Hello! These are a few of my favorites. 🙂 All are beautiful! http://ara-collective.com/product/indigo-ikat-blanket/ ->That blanket looks so comfy! http://ara-collective.com/product/neutral-toliman-weekender/ and http://ara-collective.com/product/gray-san-cristobal-throw/ . I love neutrals! There are so many great pieces from the Ara Collective and I have to say the founder has a dream job there! It looks like most of her products are from the Central American Region so I hope she’s able to expand this economic opportunity to other regions too. I love the Indigo Chiapas Throw, the Indigo Atalan Weekender, Aqua Montana Rug, and the Blue Rey Rug. I want it all, but especially the Gray San Cristobal Throw! Love the Aqua Laguna Weekender! Gorgeous products! In love with all the aqua, especially the Laguna Weekender, the Montaña Rug and the San Juan Pillow! I really love the INDIGO ATITLÁN WEEKENDER, SLATE CARDINAL POINTS PILLOW, and AQUA MONTAÑA RUG! They’re all so beautiful and unique! I can’t believe how ethically conscious Ara is, it’s so great! love your design and all the concept through ARA. please continue surprising. I think all the items are beautiful! but my favorite hs got to be the Indigo San Pedro Clutch!! Such a lovely curated textile shop! I’m digging the earthy tones. My favorites are definitely the INDIGO ATITLÁN POUCH and PILLOW. Love the colors & patterns!! The indigo weekender and indigo pillows are awesome! Indigo is a favorite of mine right now! I love this weekender bag! Perfect for a trip the beach. Definitely have a bag crush on the Indigo Atitlan Weekender, and the Indigo San Juan Blanket is to die for. Love this website!! I agree with some of the other commenters – I love your give aways because I learn about these fun companies! And ALL of the pillows. SUCH beautiful products! I think I would go for the Neutral Maguey Rug. Always so many tempting things! I wish I could own everything! I’m lusting after the San Cristobal Throw, it’s perfect for snuggling up as the summer turns into winter! The Aqua Montana Rug is gorgeous! And the Emerald ChiChi Pillow is another fave! This is such a fun giveaway! I’m a college student and just moved to a new apartment so Design Love Fest has definitely helped me think of cool decorating ideas as the site for this giveaway has as well. I’m a big fan of neutral patterns and rustic textures so I personally like the neutral zigzag pillows and the neutral charcoal rug. I think both of those pieces would really add something to the space and act as a central focus without being hard to match because of the color. Anyway, thanks for the giveaway opportunity and would be elated if chosen!! The Indigo Weekender, for sure! Artistic designs and beautiful fabrics! I couldn’t choose just one thing to obsess over- everything is too lovely! Are you kidding me with this Indigo Atitlan Weekender?! Lake Atitlan in one of my favorite places in the world! Gorgeous!!!! I’m over-the-moon smitten with the Indigo Jaspe Pillow & Indigo Chiapas Throw! I would love to win so I can buy the Aqua Laguna Weekender bag for my mom. It’s in her favorite color and I would be so happy to be able to give her a great gift. Because she’s the best! Fingers crossed! That Indigo Chiapas Throw and Indigo Jaspe Pillow are exactly what I’m looking for to bring my new apartment to life! Loving the pattern on the pillow so much. My couch is hungry for it! I love everything on there! They have beautiful colors and patterns. Thanks for doing this great giveaway! Love their values, love their style! Yes please for my guest day bed! Weekender Bag and a Neutral Rug!!!!!! Love them! I love both of these bags for the color, style and of course, where they are made and how. 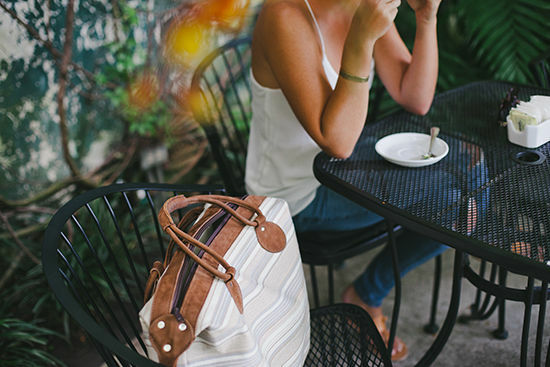 Holy buckets….the indigo atitlan weekenderis now all I want and need. You know, that and everything else on the site. Everything in the shop is super unique, and some of the proceeds benefit the community. Great company! Aqua Laguna Weekender Bag, since I’m in much need for a large bag. http://ara-collective.com/product/indigo-san-pedro-clutch/ Love the clutch like what you said! It’s so cute. http://ara-collective.com/product/neutral-toliman-pouch/ this one is cute as well! First off- I love the textiles, and and even more in love with the mission of this company! It’s so beautiful empowering others and drawing out their skills and talents in order to benefit themselves, their families, and their communities. This company has a great foundation. I adore the indigo pillows and beautiful rugs. The piece that caught my eye the most Was this beautiful modern throw! Absolutely in love with this indigo blanket. This throw is beautiful as dream. The Indigo Atitlan a Weekender is gorgeous!!! Wow such a great giveaway, love finding out about new products! The Aqua Laguna Weekender is the perfect size for daily use and weekend trips to the park with friends! Love all the pretty pillows! Gorgeous site! Thanks for the chance! oh my, I love everything! The japse pillow and Chiapas throw is stunning. We’re starting from scratch after the birth of our first child and are strictly saving money to afford our first home. I would LOVE to be able to spend on something beautiful for a change! This blue rug is what I dream of for our future nest. Thank you for the opportunity! We have been living very simply since the birth of our son and are strictly saving to be able to afford our first home. I would LOVE to spend on something beautiful for our one-day space for a change! This blue rug is what I dream of for our future nest.. Thank you for the opportunity! good morning !!! I love the black Chiapas throw !!!!! The Green San Cristobal throw is beautiful with an upper case B! The Neutral Toliman Weekender is the perfect carry-on. Obsessed with the Indigo Atitlan pillow and Weekender! I love your giveaways! Theya re always amazing.. AND open to international readers.. I want aaaaall the pillows! The entire collection is amazing! I love the black-chiapas-throw (http://ara-collective.com/product/black-chiapas-throw) and the indigo-atitlan-weekender (http://ara-collective.com/product/indigo-atitlan-weekender)! Oh man so many pretty things!! this rug is the best treat i can buy for my feet! Can I love all of it? Definitely all the rugs! And the Indigo San Pedro clutch. I am decorating my new house and definitely just got inspired looking at these products! The patterns are beautiful and tie in together perfectly without looking too matchy match! I’d, of course, throw this into the mix, because every girl needs a trendy Mary Poppins satchel to store her life on-the-go! Obsessed with Ara Collective! Thank you! I’m really having an indigo moment, so I’m swooning over basically everything from the indigo part of their collection. Here are three of my must haves so far. LOVE! Indigo San Jaun throw all the way! Love the Inigo San Pedro Clutch! The indigo Chiapas throw (http://ara-collective.com/product/indigo-chiapas-throw/) and the indigo Chinimaya blanket (http://ara-collective.com/product/indigo-chinimaya-blanket/)! the indigo san pedro clutch is perfect! but I also really like all the weekenders. so beautiful! Loving the Indigo Atitlan Weekender! Beautiful Photos Sarah! It would make the perfect Birthday gift for my Mom. I’m in love with the Indigo Weekender bag! I could wear that everywhere. Black Chiapas Throw looks amaaaazing! Amazing shop! Thanks for featuring it! The green san Cristobal throw is divine! Same with the blush Chiapas throw – so lovely! 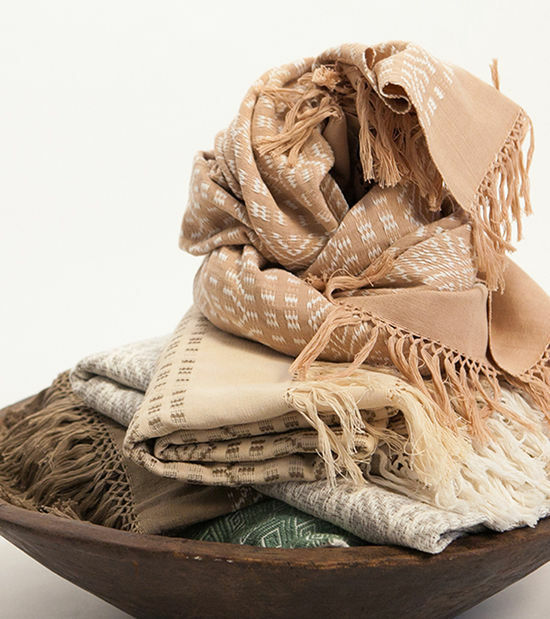 I just kept going back to he blush Chiapas throw – so beautiful, like all the textiles in their site! I love the neutral caracol rug. I would die to wake up to that every day! I’m wishing for cool nights to cuddle up with this! Nnnnnph this rug (http://ara-collective.com/product/neutral-maguey-rug/) is calling to me and my minimalist heart. I love these two pillows!! Its so hard to choose!! Amazing throws there! Absolutely love this one, though: http://ara-collective.com/product/black-chiapas-throw/ I want it to be mine!! I have been dying for a new weekend and I love all of the options!!! I love the Indigo San Juan pillow! Oooh, I love the Indigo Atitlan Weekender bag! Beautiful color! Love, love, love all these products! I love the indigo chiapas throw, the black cardinal points pillow, and the indigo atitlan pouch! All of the indigo pieces are beautiful! The Indigo Ikat Blanket needs to come live with me!! I love that they support local communities and artisans too! I love the Indigo Ikat Blanket! Pretty much I love everything but that throw looks so dreamy. Holy man, I wasn’t familiar with this brand before. BEAUTIFUL. This rug slays me: http://ara-collective.com/product/blue-rey-rug/ It’s so saturated and gorgeous! ALL OF THESE. Absolutely gorgeous and with such a cool mission behind the products. My faves? I love the beautiful Atitlan bag, I feel like it works both as a neutral and as a pop of color on the outfit. i think these items would work perfectly with that! So in love with this darling bag. I would carry it til the end of time. What beautiful products! I love the Tape San Crostobal Throw… The Gray one is beautiful too! I really love this clutch. I’m always looking for patterned pieces, but I’m picky! This one is great. Sophisticated and chic. I love all of their designs;they give off a tribal chic vibe. Favourite products: http://ara-collective.com/product/neutral-zigzag-pillow/ and http://ara-collective.com/product/indigo-jaspe-pillow/ Very yummy. I love this pillow and this bag!! Great shop. I love handcrafted items! They are always unique and so special, because not everyone knows where to buy them! My favorites are the Aqua Laguna Weekender and the Indigo San Pedro Clutch. http://ara-collective.com/product/indigo-atitlan-pillow/ – I love this pillow! The blush throw http://ara-collective.com/product/blush-chiapas-throw/ is beautiful!! i know indigo is having its moment right now…but i’m really loving these neautrals. so warm and soothing. love love love http://ara-collective.com/product/indigo-atitlan-pouch/ and http://ara-collective.com/product/aqua-montana-rug/. Such beautiful colors and patterns! I LOVE THIS BAG IT IS PERFECT! I am always going back and forth from my mom and dads and this bag is a perfect size for all of my stuff! Thank you! Would be perfect for a weekend getaway! Really gorgeous timeless items on this site! On trend but yet so classic. 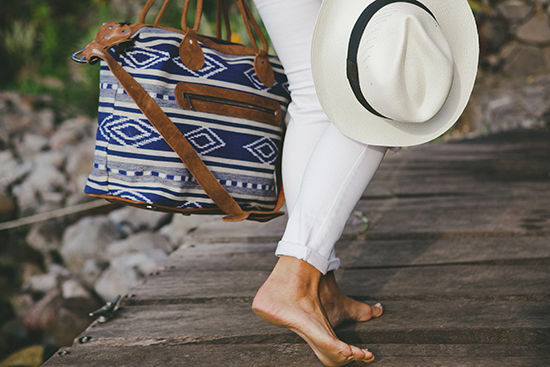 So many beautiful things to pick from but I really love the INDIGO ATITLÁN WEEKENDER bag! It was so hard to pick just one favourite. These were my stand out top 3. I first would like to say that I am in love with this company. I’ve know of other companies similar to the set up of this one but I really enjoy how Ara Collective has been able to make everything they do clear and direct. I like how they’ve done the journals from the traveling but also a section about each specific family and what goes into each item. You definitely gain a greater appreciation for each individual piece! With that being said I really love the neutral charcoal rug, I’ve been looking for something just like it for my bedroom! As well as the indigo atitlan weekender bag and the black Chiapas throw! I love the Indigo San Juan blanket, and then also a few pillows! I’m cozying up my apartment for December when my boyfriend comes back to stay with me, and some of these pieces just seem like a whimsical fit! Especially this blanket http://ara-collective.com/product/indigo-san-juan-blanket/, this weekender for a quick adventure http://ara-collective.com/product/indigo-atitlan-weekender/ and this adorable throw http://ara-collective.com/product/black-chiapas-throw/! Woo! What a fab idea for a business, really admire this. Also loving the Indigo pillows particularly the Xela x. Love this throw! http://ara-collective.com/product/gray-san-cristobal-throw/ So pretty. Thank you Bri, for the chance to win products that have been made with love for the past, the present and the future. Beautiful artisan work and a company that cares.. Amazing! Anything from Ara Collective, would be more than welcome in our home in Paros, Greece, but if it’s blue or indigo, well that would be a bonus! Good luck! Just beautiful. Kind of in love with the Indigo line, particularly the chiapas throw, and the San Juan and Jaspe pillows. LOVE the black Chiapas Throw! Perfect piece for Fall into Winter! I Love the Indigo Atitlan pouch and the Emerald Nahuala pillow…anything with tassels!!! I have been on the hunt for the perfect rug for my kitchen and this one fits the bill! The colors and pattern are amazing!!! The blend of textures is so dreamy! The Emerald Nahuala pillow needs to come home with me now! Wow, what gorgeous products! Wow, such amazing patterns and craftsmanship. I love the colors and textures. Just amazing. I love the BLUE REY RUG paired with INDIGO CHINIMAYA BLANKET! I love the tote bags, especiallly the ones in aqua. They look perfect for carrying all the stuff I need when I travel and could double as a camera bag. I love the INDIGO ATITLÁN PILLOW & the Indigo Ikat Blanket. Both amazing pieces that would look great in my new apartment!! Amazing site, I have a hard time choosing it is all so beautiful. 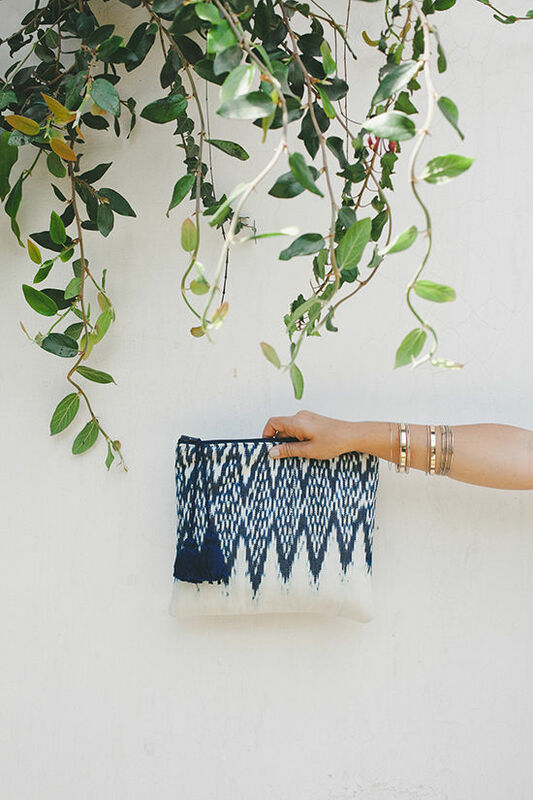 I’m obsessed with the Indigo San Pedro Clutch. And the Indigo Atitlan Weekender. And everything else. In love with this bag!!! I am obsessed with throw pillows and I think this one would make my husband happy too! LOVE the blush chiapas throw (http://ara-collective.com/product/blush-chiapas-throw/) and the turquoise chichi pillow (http://ara-collective.com/product/turquoise-chichi-pillow/)! 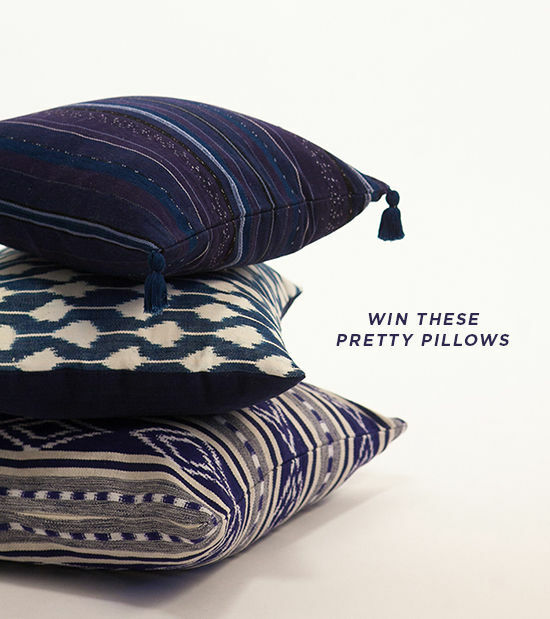 I love the indigo atitlan pillows! They would look awesome in my new apartment! I Love everything! BLACK CARDINAL POINTS PILLOW is my favorite feel like it be a great piece to add to my collection of sofa pillows! But really all the pillows would be!! I love the Indigo Chipas throw and Neutral Zigzag Pillow, they are all such beautiful pieces!! I love this Aqua Laguna Weekender and the Aqua San Juan Pillow. This bag is just beautiful! Oh man, I have been wanting textiles so badly! This place is beautiful. And pretty much everything they have to offer! I’m a college student and I live in a dorm. My bedding is so boring! I would love to win a throw and pillows! Love the Indian Chiapas Throw! I love the Indigo Atitlan Weekender! It would be perfect for traveling and has a beautiful design. Despite of the beautiful Indigo Atitlán Weekender, I’d choose the Indigo Chinimaya Blanket and some of the pillows. Would be the perfect look for my sofa! I am in love with the Ara Collective ‘Indigo Atitlan Weekender’. It is perfect for weekend getaways to exotic locations. I also adore the ‘Indigo Ikat Blanket’, to be used around the outside fire on a cool night. I just moved from a big city to countryside and they will look gourgeous in my new home! As a weekly commuter, I love the neutral tolimán weekender. I also like that these are products that matter. This Lake Atitlan is so stunning. I visited Guatemala in 2012 and met the people at Mayan Traditions with whom Ara Collective has partnered. I would love so much to have such a beautiful textile from such a beautiful place and people! 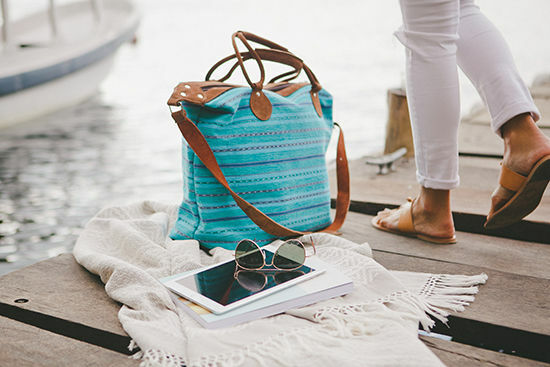 The aqua laguna weekender and pouch are adorable! Tassels always get to me! I like everything from the shop 🙂 But I like the pillows the most, because I love ikats (my parents come from Indonesia). Greetings from the Netherlands! I love this collection and know God is going to bless it!!!! All of it is more than beautiful! I love this concept and the products are beautiful. All the pillows! Indigo tones in bedroom, neutrals in living room. Gorgeous! I love them all! Especially the weekender bags!! I love makers who travel to uncommon places and create beautifully, unique treasures. The Black Chiapas Throw and the Slate Cardinal Points Pillow are so beautiful. Dayum! Loving the weekender bags and throws! INDIGO CHIAPAS THROW is my favorite! I really like the NEUTRAL MAGUEY RUG and the TURQUOISE CHICHI PILLOW. The Indigo Chiapas Throw and the Indigo Jaspe a pillow are perfection! The Indigo Chiapas Throw and the Indigo Jaspe Pillow are perfection!! Love the rugs, I know what I’m asking for at christmas ! These pillows will be the perfect fit to my teal and white (with a beach resort vibe) bedroom decor! this clutch is my favorite though! Thank you for the chance to win such a great item. Absolutely love the style, the quality and the texture of this bag. Kudos to the team that discover these items. Gotta say, I love it all! The indigo weekender would make a great diaper bag and the indigo throw would be lovely for our little nursery in the works! Beautiful textiles! I love the Indigo jaspe pillow http://ara-collective.com/product/indigo-jaspe-pillow/. All of the producst are lovely – so hard to pick just a few! Absolutely swooning over the Indigo Atitlan Weekender!!!! the weekender tote is so beautiful! I love the small details put into it, and the matching pouch would be perfect for storing all my makeup when I travel. I love love love this Aqua Laguna Weekender! and this Aqua San Juan pillow! Love almost everything but those too are amazing! Love these giveaways! Love the Indigo Jaspe Pillow as well- would look so cute in my apartment. The couch is in desperate need of some design TLC and those pillows would definitely do the trick! In love with the pattern on this pillow! It is very important to me to know the story behind each item I bring into my home. Supporting artisans throughout the world makes the world feel that much smaller. Thank you for bringing yet another company-doing-good to my attention, Bri! The weekender bag is super duper, http://ara-collective.com/product/indigo-atitlan-weekender/. P.S I love your blog so much! It would so so so great if I won, because I would be able to get my mum something she really likes for her birthday! I really love the rugs, especially the Neutral Caracol Rug. Here are my fav items: INDIGO ATITLÁN WEEKENDER,NEUTRAL TOLIMÁN WEEKENDER, and INDIGO IKAT BLANKET. And I would also one of the throws. this is absolutely beautiful. i fell in love with the different pillows and throws and i can hardly decide which i like most. but i think it would be this little clutch (http://ara-collective.com/product/indigo-san-pedro-clutch/) for me. I think my wife would really like the bags. The Indigo Atitlan Weekender! Love it! I love the Black Chiapas Throw http://ara-collective.com/product/black-chiapas-throw/ and the Neutral Maguey Rug http://ara-collective.com/product/neutral-maguey-rug/. All great looking products! This pillow already has a spot reserved on my couch that will replace the lovely one my mother-in-law gave me last Spring. Please…let me replace it ASAP! My favorites are the Indigo Atitlán Weekender, Neutral Caracol Rug, and Blue Rey Rug. The Black Cardinal Points Pillow! Love! I have been looking for an awesome weekender bag but this one is absolutely perfect. I wear a lot of black and white and would love this neutral weekender. Going to NYC in October and this would be perfect. I love neutrals but almost all of my furniture is white with bright art all around! This pillow is the perfect pop of color! I would be so happy if I won this amazing giveaway! Thanks so much for introducing me to ARA! the indigo weekender is the perfect bag for me. I’m often back and forth from my boyfriend’s house and find it hard to find a bag that offers utility (need clothing options!) and fashion (a big bag in the big city that doesn’t look like I’m an actual bag lady). this weekender is both stylish and functional and I couldn’t be more excited if it’s soon on my arm! I would love to own the Aqua Weekender! the color palette of this shop is incredible. totally get a calm, beach, ocean, cozy, relaxed vibe, which i am all about. the indigo atitlan weekender, tres beach. Oh to leave for the weekend with this bag! I love the aqua laguna weekender! Apparently I’m obsessed with Indigo! I need all of these in my life! love indigo ikat! so classic! Soft tones and easy to match while keeping a beautiful, interesting design. i just visited the site and fell in love with everything! such beautiful textiles. i can’t even choose between all the beautiful rugs & pillows. but the indigo san pedro clutch? my heart! Love this giveaway! Textiles are my fave. I’m super into the weekender bags…especially the aqua laguna color. 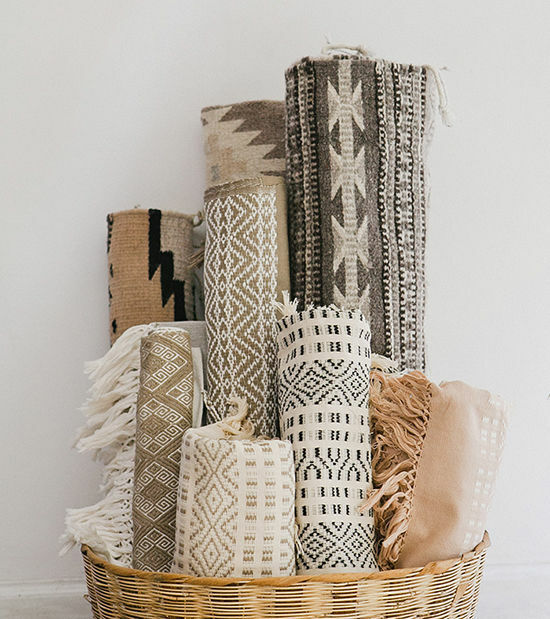 Now let’s talk rugs… I’m enamored with the neutral maguey rug, would love to toss that in my bathroom. Last but not least, the throws are scrumptious…don’t ask me to pick! I love all the stuff they sell, but my favorite is the Indigo San Juan Blanket! The textiles are all really beautiful! loving this weekender bag, hard to choose which i like better! I am in desperate need for a great weekender bag and I think I just found it! love the Indigo Atitlan Weekender! All of Sarah’s pieces are AH-mazing! I also love the indigo weekender. And I love the neutral throws- particularly the Gray San Cristobal Throw- can’t wait until she launches her winter collection! All of it! lol. I think the San Pedro clutch and the black Chiapas throw, might be my fav. At least for today…. So many faves! Love the indigo jaspe pillow and both of the weekender bags. Great colors and styles. Transports me to a vacation-life I want to live! All of these textiles are so beautiful. I love the colors and that this benefits the artisans. I’m so glad you introduced us to Ara collective! Everything is so fun! The Indigo San Pedro clutch is so adorable it needs to be taken out on a date! I love this bag, it became mine. I don’t think i could choose between the Indigo or neutral weekender! SUCH GREAT BAGS. Isn’t this Giveaway over? Will you be posting the winner’s name on your blog? Love the indigo San Juan blanket (and just about everything else). I love love the SERENITY CABALLOS PILLOW! So beautiful!! We buy coffee from that region of Guatemala and so that makes it extra special! Loving the Emerald Nahuala Pillow, the Grey Mariposa Rug and the indigo pillows!! Beautifully created! Oh. my word I adore the blankets. They are all drop dead gorgeous. I love the PURPLE QUIEJEL PILLOW! Well–everything, especially the sublte neutral patterns of the area rugs. Truly beiatifyo designs!